ROME, March 22 -- Chinese President Xi Jinping and his Italian counterpart, Sergio Mattarella, held talks here Friday, and agreed to jointly push for greater development of the China-Italy comprehensive strategic partnership in the new era. China stands ready to join hands with Italy to firmly keep the direction of bilateral relations in the new era, carry out r high-level exchanges and upgrade the quality and level of bilateral practical cooperation, he said. 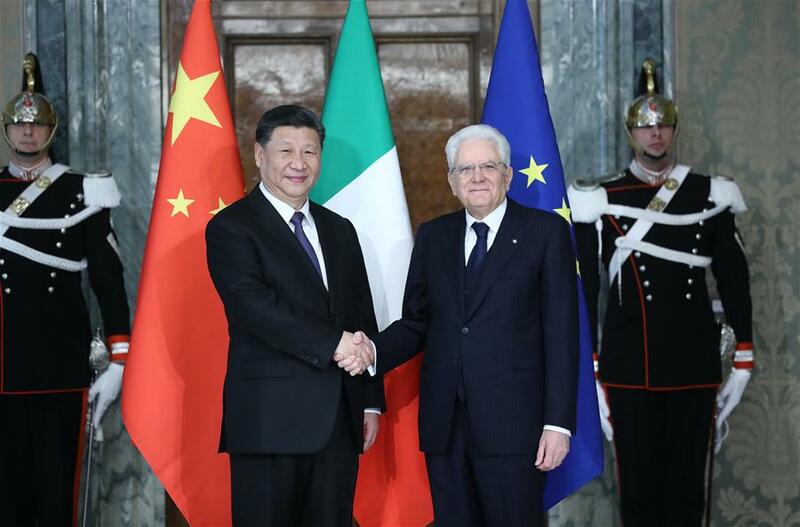 The frequent high-level exchanges between Italy and China, especially President Xi's visit this time, demonstrated the high level of bilateral relations, Mattarella said, calling China a and important partner of Italy. Italy and China were at the two ends of the ancient Silk Road which had been a bond ly linking the two countries, Mattarella said.